I was lucky enough to receive a Simon Says Stamp May Card Kit to play with, and I thought I'd share the cards I made using it, over the next few days! To create the background, I took some Tim Holtz watercolour cardstock, spritzed it with water and swiped it over my craft sheet, which had Peacock Feathers, Picked Raspberries and Squeezed Lemonade on it (which had also been spritzed with water). Next I heatset it to dry it. After cutting it down to size, and adhering it onto some of the kraft cardstock which came in the kit, I stamped the HEY! sentiment (from the card kit stamp set, which is also available seperately). 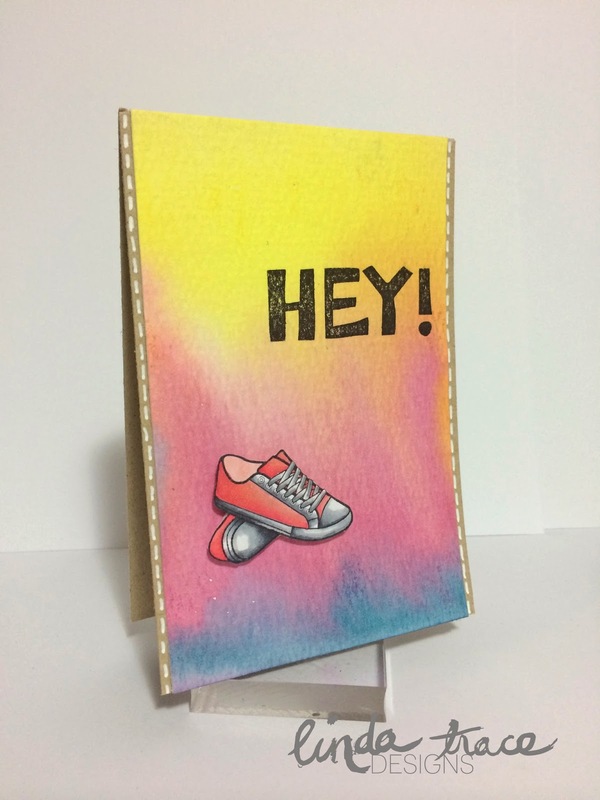 Next I stamped the cute sneakers onto some Copic-friendly cardstock, and coloured them in. After they were finished and fussy-cut, I added some sparkle with a Zig Wink of Stella brush in clear. (How cute would pink sparkly sneakers be?! I added them to the cardfront, using dimensional adhesive. The sparkle in real life, is so fun. I just love the effect. I hope you'll head over to the Simon Says Stamp store, to check out the kit, it's SO fun. Love the inky background and pink, sparkly sneakers - so fun! 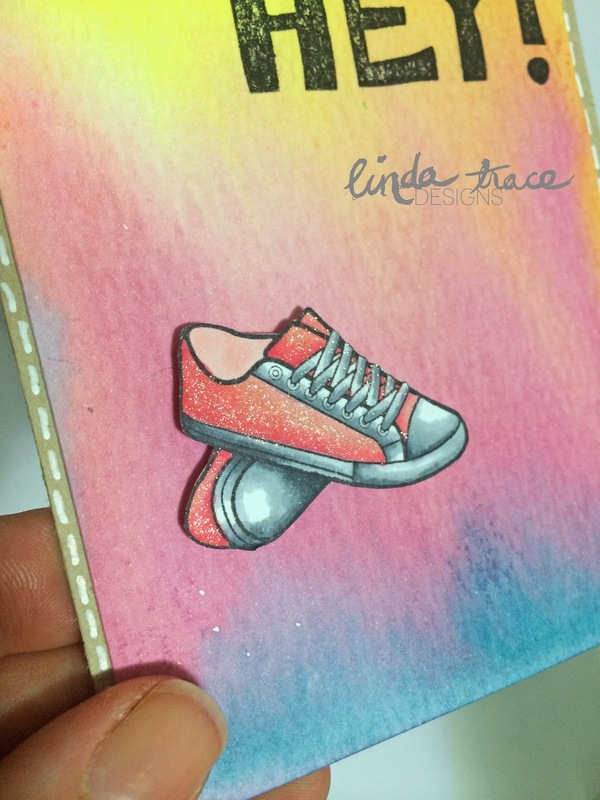 Great card Linda, I adore that background and who wouldn't want a pair of sparkly sneakers... I'd be the envy at my Zumba lol!